Hair Color: Black, Dark Brown, Silver Grey, Lightest Brown, Blonde Bombshell, Cherry Blossom, Ice Brown, Cream Caramel, Biscuit，etc. 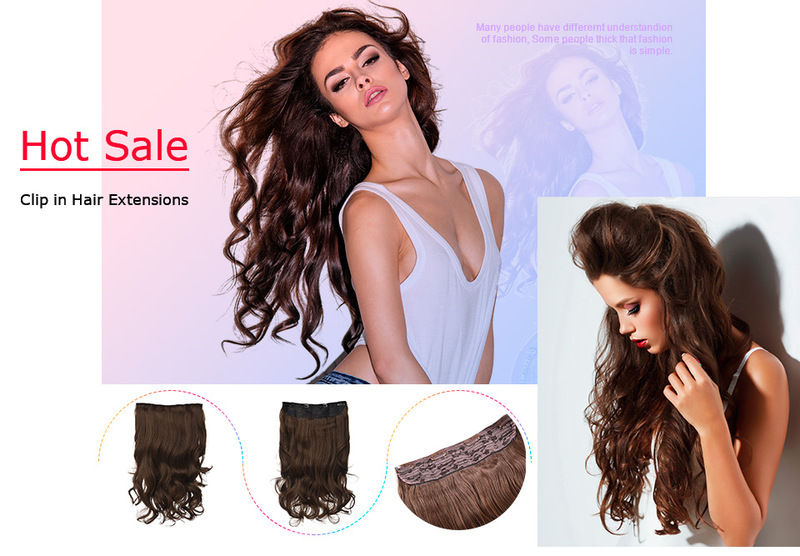 Tangle free, silky, soft, harmless material, natural appearance. Suitable for thin, middle or slightly thick hairs to add length volume. 4 Clips strongly attached,easily apply it in few minutes and long time stay in place. Naturally blends into your own hair. Clips will be invisible and can not be noticed.